Meyerbank Condo (former Nanak Mansions) at Meyer Road is a new launch condominium UOL. As the condo will be located right next to a park, it is a popular residential option in the East of Singapore. Residents living in the East Coast of Singapore can enjoy the cool breeze and excellent food options available in the vicinity, making the address a highly coveted one. You can find an extensive range of amenities around the area, reducing the travelling time you need to obtain your daily necessities. 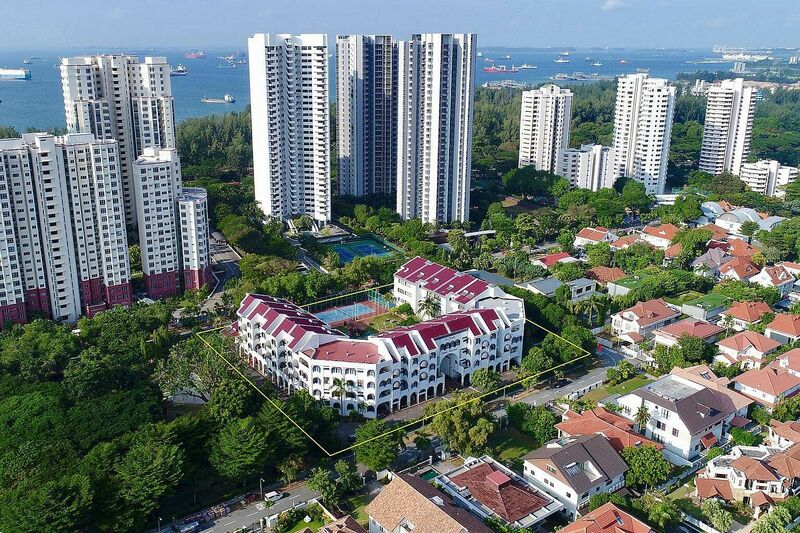 Both locals and expatriates will adore the charming areas around Meyer Road, while families will appreciate the close distance to the East Coast Park. As the Meyerbank condo project is expected to launch only in 2019, future residents will not have to worry about inaccessibility. The upcoming Katong Park MRT Station and Tanjong Katong MRT Station will be a part of the new Thomson-East Coast line and are both close to Meyerbank. Through the two MRT stations, residents of Meyerbank and nearby properties can enjoy travelling to other parts of Singapore. Katong Park MRT Station will only be 2-stops away from Gardens by the Bay, 4-stops away from Marina Bay and 10-stops away from Orchard. At the Marina Bay MRT Station, you can also take the trains on the Circle Line to access more parts of Singapore. At Outram Park MRT station, you can find both the East-West Line and the North-East Line. For future residents with personal vehicles, Meyerbank is near several major road and expressways that allow you to reach the central business district (CBD) in only 10-minutes. Roads near the residential project include Fort Road, Tanjong Katong Road, and the Marine Parade Road. Expressways like the East Coast Parkway (ECP), Kallang-Paya Lebar Expressway (KPE) and Marina Coastal Expressway (MCE) are also near the development. Through the roads and expressways available, residents staying at Meyerbank can reach the CBD and other major locations in a short time. UOL is one of Singapore’s leading public-listed property companies with an extensive portfolio of development and investment properties, hotels and serviced suites. UOL strongly believes in delivering product excellence and quality service in all our business ventures. Our list of property development projects includes residential units, office towers and shopping malls, hotels and serviced suites. UOL, through our hotel subsidiary Pan Pacific Hotels Group Limited (PPHG), owns and/or manages over 30 hotels, resorts and serviced suites in Asia, Oceania and North America under two acclaimed brands, namely “Pan Pacific” and PARKROYAL. For more information, simply fill up your details below and our salesperson will get in touch with you shortly!